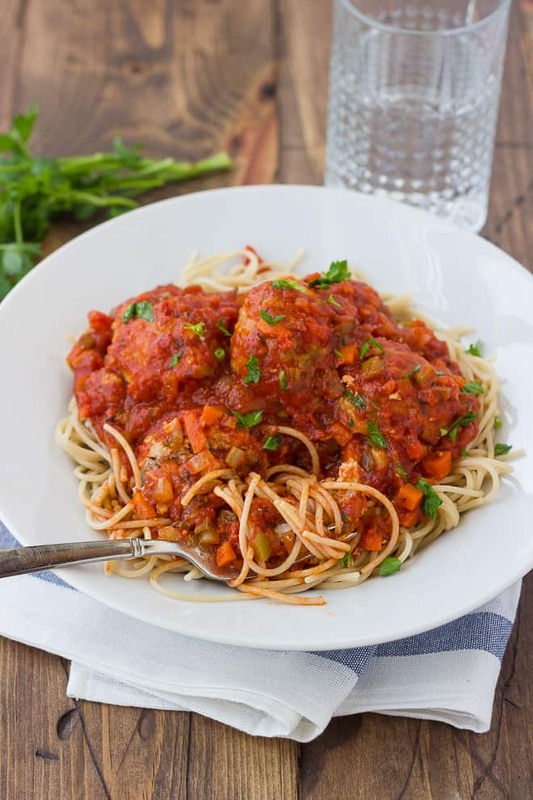 Spaghetti and meatballs is true comfort food for a reason! 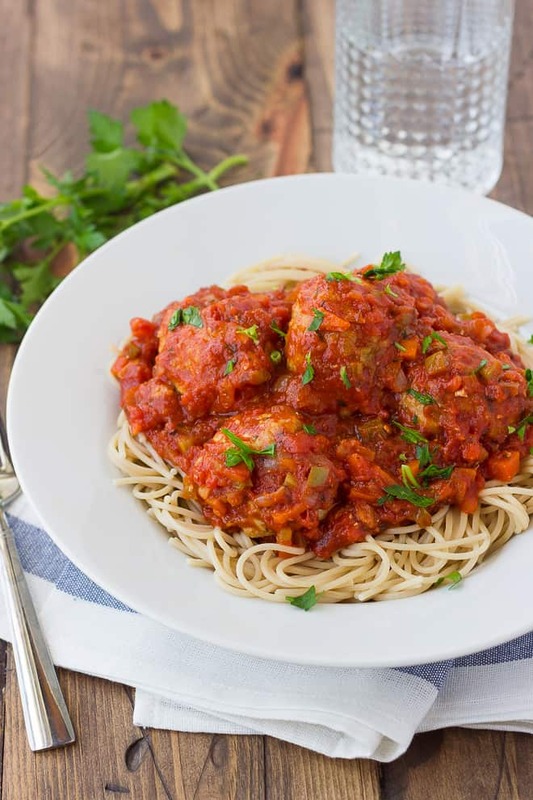 For years, this recipe has been my favorite way to enjoy spaghetti and meatballs. I’ve given the recipe to lots of friends and family members who love it too. 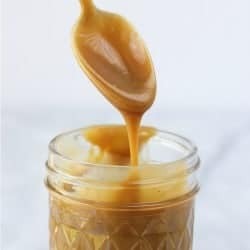 The sauce is bursting with flavor and every other homemade sauce I’ve made just doesn’t compare. We make this about once a month because my family and I love it so much! My Mom actually made a version of this growing up. It’s funny how you crave the foods you grew up on as an adult. My 3-year-old now loves this dinner (like requests it daily…), which is fine by me, as this sauce is secretly full of vegetables. I like serving this over Jovial Foods Brown Rice Spaghetti. Aka the best gluten-free pasta ever! A trick I’ve found when cooking gluten-free pasta is to add a little olive oil to the cooking water. Some people are against this with traditional pasta, because it prevents the sauce from fully sticking to the noodles. But with gluten-free pasta you need a little help to stop it from all sticking together. When I use Jovial Foods pasta and do this, nobody can tell they are gluten-free noodles. Gluten-free meatballs were kind of a puzzle to me until I scoured the internet and read about adding arrowroot powder in place of breadcrumbs. I tried arrowroot in this recipe and it worked like a charm. It worked so amazingly, I think I prefer these meatballs to ones with regular breadcrumbs. Something about the arrowroot powder gives the meatballs amazing texture, unlike any meatball I’ve ever had! Combine all the ingredients, except the turkey, and beat with a fork to combine. Add the turkey and mix well. Shape into 2 tablespoon balls, I use a regular cookie scoop to do this. Place the meatballs on the pan. Bake for 20 minutes. In a large dutch oven or sauce pan, heat the olive oil over medium-high heat. Add the onions, green pepper, carrots, celery, and salt. Saute for 10 minutes until softened. Add the remaining ingredients to the sauce. Bring to a simmer and cook over medium-low heat, stirring frequently to prevent the bottom for browning. When the meatballs are done baking add them to the sauce and continue to simmer. 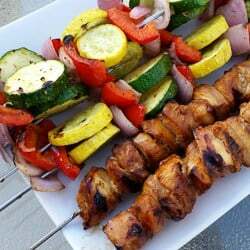 Cook for 20-25 minutes until the vegetables are soft and the flavors have melded. Serve over pasta! I love Jovial Foods Brown Rice Spaghetti. Enjoy! *When cooking gluten-free pasta, I find it works best to add a tablespoon or so of olive oil to the cooking liquid. This prevents the pasta from sticking together. 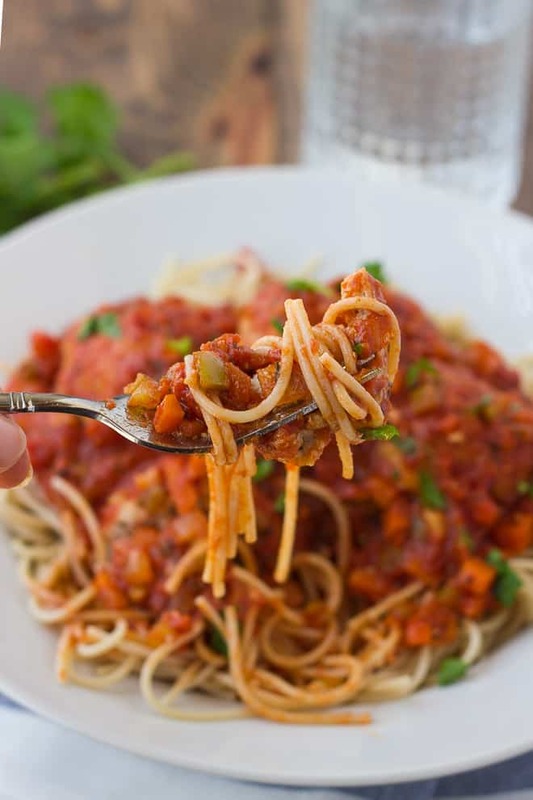 *Serve this with spaghetti squash or zucchini noodles for a grain-free dish! Also try this Healthy 30-Minute Chicken Parmesan from Healthy Seasonal Recipes! Wonderful idea. Can’t wait to try this! 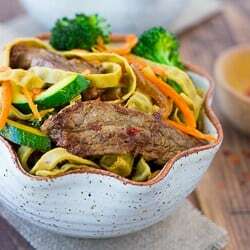 I liked the sauce very much because it seems full of vegetables and this has made it a healthy dish.